Great Pregnancy Nutrition if you are Pregnant is a MUST! Developing great pregnancy nutrition if you are pregnant or trying to be is a must! Eat for health, because foods that you eat go directly to your developing baby. Great prenatal nutrition will allow you the greatest chance to deliver a healthy baby! Exercise for health, because exercise will help you to sleep better, reduce stress, be better prepared for the delivery, give you more energy, and help your body stay in the best shape. You may be gaining weight, but you want to be healthy and look good! Let’s face it, pregnant women are gorgeous! You want that pregnancy glow to show! Let’s debunk one pregnancy myth right now. You are not eating for two! Your aim should be to clean up your diet and eat for health. Your last two trimesters, you should increase your calories by around 300 to 500 calories per day, according to your doctor’s recommendation. This is not many calories ladies, but two healthy snacks. This is not your chance to eat to your heart’s content, unless you want to gain extra weight, which can increase your chances of gestational diabetes, so plan your meals. 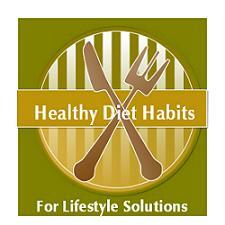 Practice healthy diet habits on a daily basis. Develop a healthy meal plan that includes healthy breakfasts, lunches, dinners and snacks! Limit junk or processed food choices. They are wasted calories for you and your baby! Limit foods with a bar code that contain sugar and white flour, white rice, cookies, crackers, pretzels, sweetened drinks and sodas, and potato chips! Develop a complete understanding of the Grain guidelines and eat healthy grains! Your calories must be healthy and not empty calories! Make sure that you are eating real, unprocessed foods that do not contain chemicals. Buy organic fruits and vegetables, whole grains, lean meats and low or non-fat dairy as your meal staples. Follow healthy food guidelines. Read food labels and limit foods containing chemicals, pesticides, nitrates, antibiotics, and anything you do not understand. Increase fiber in your diet. This will help you with constipation, which is a problem for many pregnant women. Include protein and fiber in your meals and healthy snacks, to help keep your blood sugar and weight under control. This will help limit your chances of developing gestational diabetes. Snacks should be mini planned meals that are healthy and not just mindless eating. Make sure you are getting enough calcium and vitamin D in your diet. The recommended dose for pregnant women is 3 8oz. cups of milk. Choose choices that are non-fat or 1% fat to limit saturated fat. Eat other calcium rich foods like low-fat or non-fat yogurt, cheese, green leafy veggies like spinach and kale, almonds, and juices that are calcium fortified. If your developing baby does not have enough calcium, he/she will steal calcium from your body. Choose healthy fats like pregnancy safe fish, olive oil, canola oil, walnuts, nuts and nut butters, flax and flaxseed oil and avocados. Practice the half plate rule. Limit fast food choices because of the extra calories and additives. Control emotional eating during pregnancy to avoid extra weight gain. These are a few of the healthy diet habits for great pregnancy nutrition. Great prenatal nutrition is important for both your health and your babies also! The Lifestyle Solutions are to eat for health, practice balance, get exercise, know good food choices, eat real foods, eat organic foods when possible, and avoid chemicals and additives in all of your foods, whenever possible for a happy, healthy pregnancy!